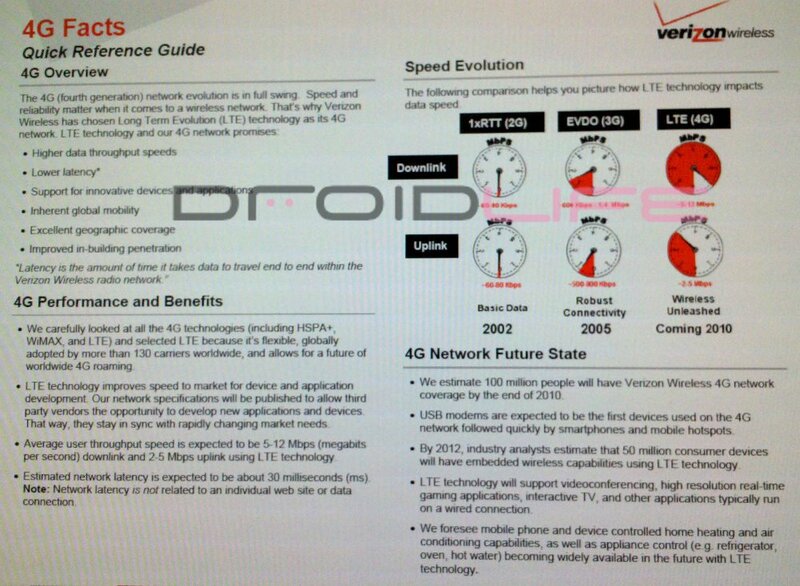 Wanting to know the dirty details on Verizon’s 4G LTE network which should launch in 38 cities nationwide by the end of the year? We’ve got you covered again with this fact sheet that compares Big Red’s new supernetwork to Sprint’s 4G WiMAX. As you can quickly see, the two networks aren’t really all that comparable as LTE speeds should be mindbogglingly fast. 5-12MB down and 2-5MB up? Wow. Additional info after the break. This is going to be one heck of a network once it goes live. 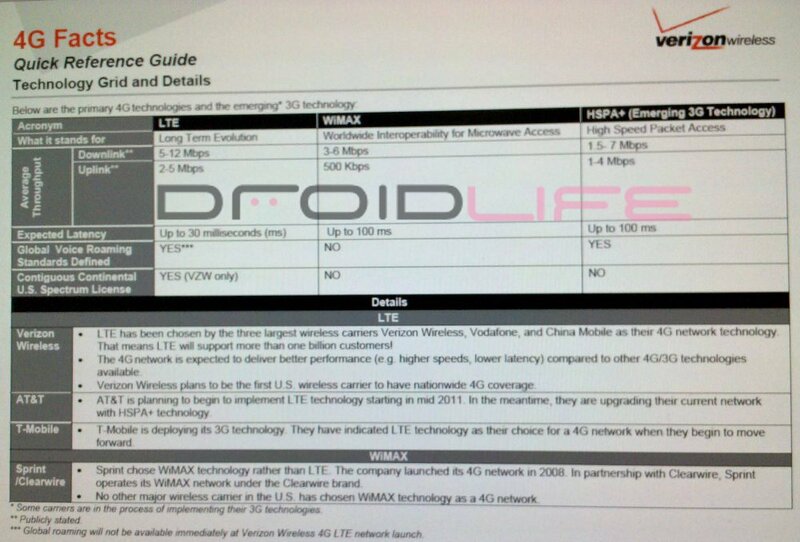 Now if only someone would announce a few 4G LTE Android devices (like the Incredible HD), life would be complete. 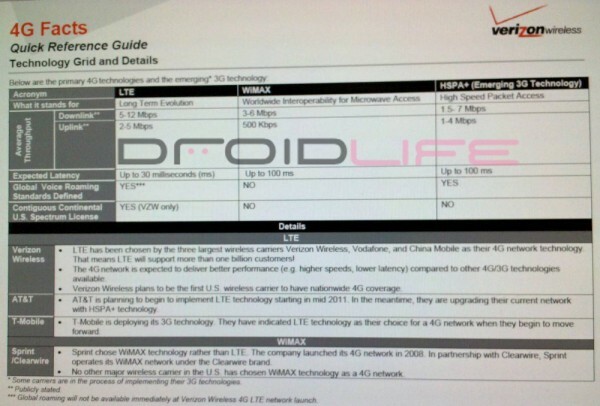 OK, not quite complete until we see that the Droid Tablet (Stingray) has been released as upgradeable to LTE.